This mod will adds a "remelting tool." 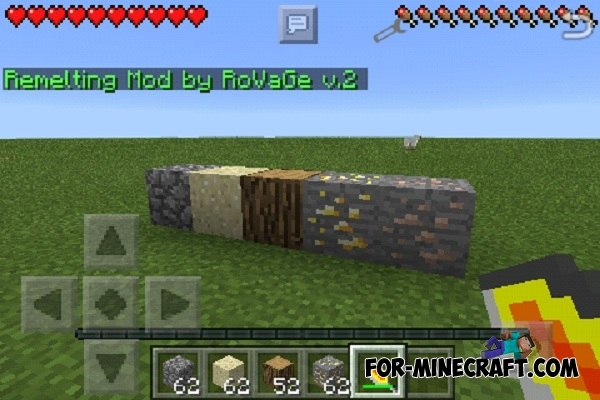 The tool can instantly smelt the ores into an ingot, or simply block. You can to use it 15 times. 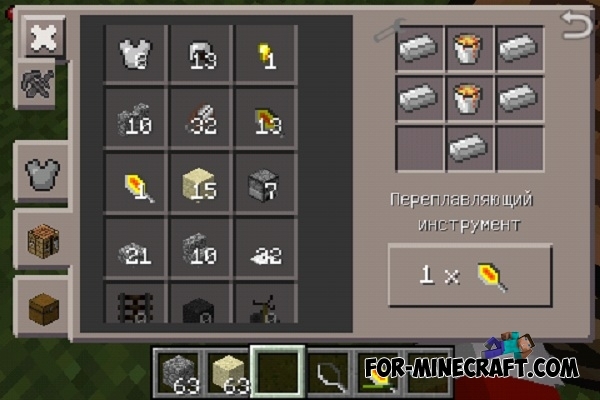 You will need a 5 iron ingots and 2 buckets of lava for crafting. 1. Install script from the archive.